Cyclist, 38, dies days after Goswell Road crash. 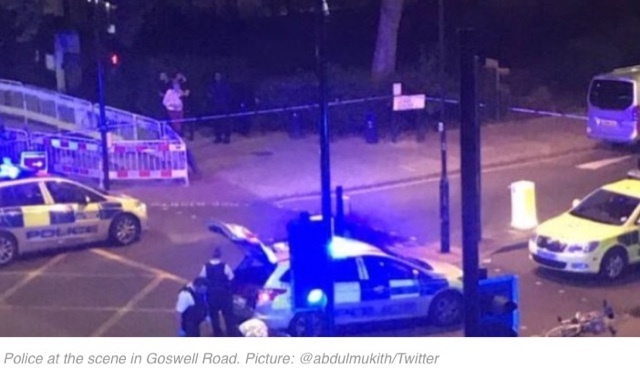 A 38-year-old cyclist who was hit by a car in Goswell Road in the early hours of Friday has died today, police have said. The man’s bike collided with the vehicle at the junction with Percival Street at 12.20am. He was left in critical condition and had spent the last five days in hospital. The driver of the car stopped at the scene and has not been arrested. Anyone who can help officers in their investigation can contact the Serious Collision Investigation Unit at Alperton on 020 8991 9555and quote CAD 97/6Jul. Officers are particularly keen to hear from anyone who saw the crash and has it on camera.